Social Indicators Network News (SINET) is the official newsletter for ISQOLS. SINET is a quarterly of social reports and research on social indicators, social trends, and the quality-of-life. 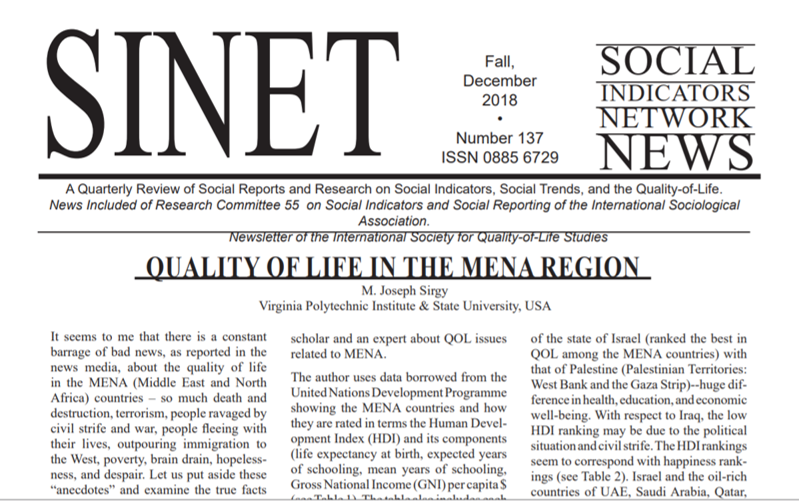 As a service to the world-wide social indicators community, SINET (Social Indicators Network News) is issued quarterly (February, May, August, November). Subscribers and network participants are invited to report news of their social indicator activity, research, policy development, etc., to the Editor for publication. Deadlines are the 20th of the month prior to each issue. ISQOLS Members receive 4 free copies per year.